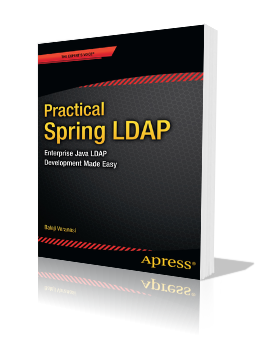 EAR is the standard packaging mechanism for Java enterprise applications. Step 2: The next step is to create the Message Driven Bean. 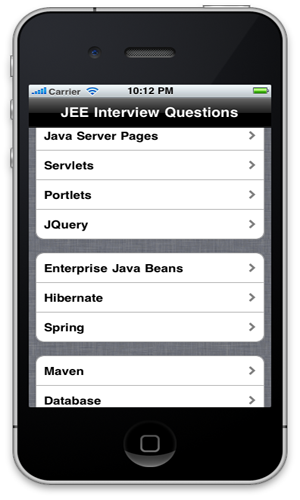 The MDB created in this post will be consuming messages from a Distributed Queue with the JNDI name jndi.blogQueue. Refer to the “Distributed JMS Queue on WebLogic 10” post for details on creating Distributed Queues in WebLogic. Step 3: The next step is to package the newly created MDB into an EJB which then gets packaged into a ear file for deployment. 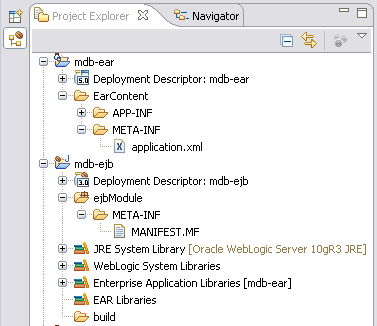 During development in Eclipse, simply right click on the mdb-ear and click Run -> Run On Server. This IDE deployment assumes that the Oracle Server Adapter is installed in Eclipse and configured to talk to a WebLogic 10.3 server instance. Running the above class will add a new TextMessage to the Queue. Once a new message is available, the TestMDB’s onMessage() method gets invoked and you should see the message “Received Message: TextMessage[ID:, null]” in the WebLogic console logs. 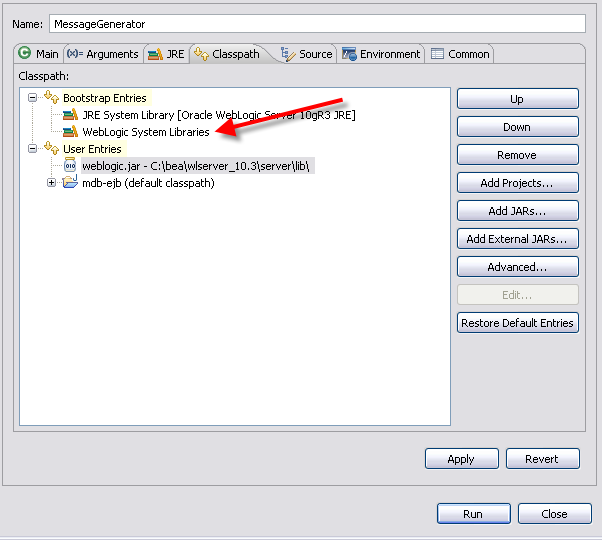 For the above class to run from Eclipse, make sure that you remove “WebLogic System Libraries” and add weblogic.jar to the MessageGenerator “Run Configurations…”. Please may you explain when we created.